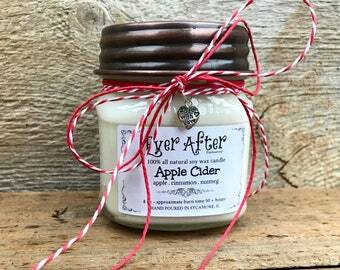 Announcement At Ever After Enchanted we lovingly create magical handmade goods for you and your home! From hand-burned barn wood décor, cozy nights with soy candles, to morning and evening rituals with healthy artisan skincare, we want you to live an enchanted life! Come check out our shop! 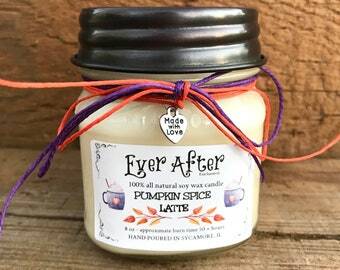 At Ever After Enchanted we lovingly create magical handmade goods for you and your home! From hand-burned barn wood décor, cozy nights with soy candles, to morning and evening rituals with healthy artisan skincare, we want you to live an enchanted life! Come check out our shop! Love the jar and decorations on it, and the candle smells fantastic! 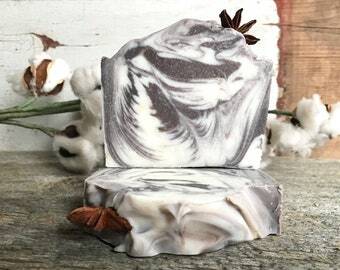 Also, the seller included a bar of soap as a gift with my order which was the perfect compliment to my order! This is slightly grainy, and so wonderfully conditioning. The seller gave me an extra tropical lip butter, which is much the same. I thought that was the nicest gesture! I use this every night before bed, and I am very happy with my purchase. It tends to be a firm texture so I just use the top of my fingernail to scoop a tiny bit out. Wonderful, so grateful - thank you! Burns clean and smells so lovely! Thanks for the extra goodies and sweet note, too! Holiday candles have been restocked in our shop! Still a couple of days to get them in time for Christmas! Also check shop announcement for candle coupon codes. New magical candle scents have been added to my shop! Check listings for detailed descriptions! Hi! I just finished adding some of our new patchwork hearts. ️ ️ ️ These are made from barn wood that is over 100 years old! 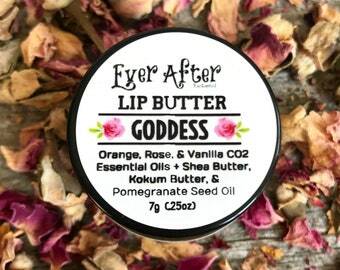 New luxury lip butters and artisan skincare! My son Logan with one of our barn wood "HOME" signs! My name is Rosanna and I'm so glad you found our shop! Ever After Enchanted is a co-creation of me and my husband Eric. We love working with our hands, being creative, and finding new ways to live fulfilling lives, which is ever changing as we grow! Something that we both love has been living a more intentional life, making healthier choices, and slowing down to experience all the beauty in life. Eric is currently in a band, has a full time job, and also makes the barn wood décor. We love the natural and rustic touch barn wood brings to a space. As for me I have had many skin issues for most of my life and such tried many products. I starting using natural products and changing my habits many years ago, which lead to my passion for creating my own skincare. 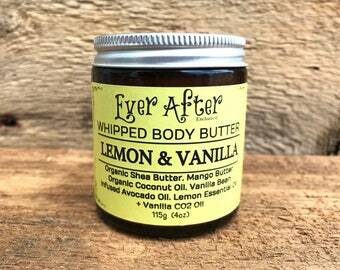 I love working with essential oils, herbs, oils, and butters. Also I love what it does for my skin. Creating this shop has been a dream of mine. As a young mom with a full time job I put it off for sometime, but I'm so happy I had the courage to start this shop. Setting the mood in your space, making it cozy, lighting some candles, and burning essential oils, can totally uplift your spirit and senses. 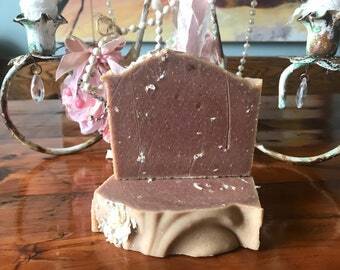 Using a beautiful handmade soap in the shower and luxurious body butters will set your day off on the right track! 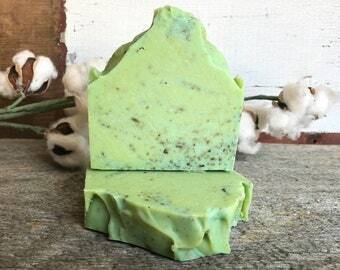 We want to share our creations with you so you can have a more enchanted home and life too! Eric and I love supporting other makers and artists, there's a special energy when someone pours their heart and soul into something. If you're not doing something you love we would love to inspire you to try something new and share your magic with the world! Eric and I have 2 children. Ethan is 19 and at Northwestern University, and our little guy Logan is 7. We love going camping in our RV and look forward to more trips exploring nature and life! Thanks for checking us out! Have a magical day! Soaper, skincare lover, candle maker, mom, and wife! All around handyman, musician, husband, and dad! Welcome to Ever After Enchanted Decor! I want you to be completely happy and satisfied with our products and also with the service along the way! Please let me know if you have any questions and I will be happy to get back to you. Please be sure to take a look at all of the item pics, measurements, and item descriptions before purchasing. I want to be sure you know the facts before purchasing. If for any reason you are not happy with your purchase once you receive it, I will happily accept your return if postmarked within 5 days of the delivery. Please note that buyer will be responsible for shipping cost to return item. If you do receive your item and it is damaged:( Please let me know right away and we can work together to find a solution. I will do my best to prevent this issue, but i know sometimes it is out of our hands. No exchanges as these are all one of a kind items, thanks for your understanding. I will add tracking to package delivery to prevent lost items, but will not be responsible for lost packages once they have been shipped unless insurance has been purchased. Thanks so much for understanding! We accept all major credit and debit cards securely via Paypal or Etsy direct checkout:) You can also always use an etsy gift card. I love when I get those! Cancellations can be made if you contact me before the item ships out. Already made items that you find up in my shop will ship out in 1-5 business days! The sooner the better! For special orders please allow 15 business days to make and ship out. I will try my best to get it to you faster. We can also discuss timeline if you convo me for a custom order. All domestic orders will be shipped via USPS first class or priority. I will also provide you with a tracking #, I always feel better when I can track a package! Please make sure to check that your mailing/ shipping address is correct before making purchase. I really want these items to make it to you quickly and safely! These items are pretty fragile so I will do my best to get it to you in perfect condition. IMPORTANT FOR INTERNATIONAL BUYERS: Please be aware that shipping overseas from US can take up to 30 business days. Please also note that you are responsible for your country's Import Taxes, Duties, VAT, etc... Please research what your item will cost by the time it gets to you before purchasing. Please do so by checking with your customs office/ postal service. Returns of international orders will not be accepted due to customs fees. These fees as stated above are not refunded by me, the seller. Thanks for your understanding. Again thanks so much for checking out my little shop! I am so happy you found me! Please let me know if you have any problems or concerns. I want to make sure you are completely happy with any item you may purchase! Also please contact me before leaving any negative feedback. I know that can make or break a shop and I'd love the opportunity to make you truly happy with your purchase!